Owning a larger slice of BMW Brilliance Automotive would come at an opportune time for BMW amid trade disputes between China and the U.S.
BMW AG stands to become the first foreign car manufacturer to own a majority stake in a Chinese joint venture, showing Beijing is following through on a pledge to increasingly open up the economy to global corporations. BMW plans to unveil the new ownership structure in its joint venture with Brilliance China Automotive Holdings soon, according to a person familiar with the plan, who asked not to be identified because the accord remains confidential. BMW now holds 50 percent of the venture. BMW Chief Executive Officer Harald Krueger was in Berlin at the start of the week during a summit between Chinese Prime Minister Li Keqiang and German Chancellor Angela Merkel. Among discussions were opportunities to open up China more to foreign investment. As part of corporate deals signed at the meeting, chemicals company BASF SE agreed to invest as much as $10 billion in a new factory in China that it would wholly own, also a first for that industry. BMW declined to comment on the state of its discussions with Brilliance. The German company is set to boost its stake in the venture to at least 75 percent, Manager Magazin reported earlier. Brilliance, which now owns 40.5 percent of the venture, didn't immediately return a call and email seeking comment. Owning a larger slice of BMW Brilliance Automotive would come at an opportune time for BMW. The company is heavily reliant on output from its factory in the U.S., where BMW makes SUVs for the global market. 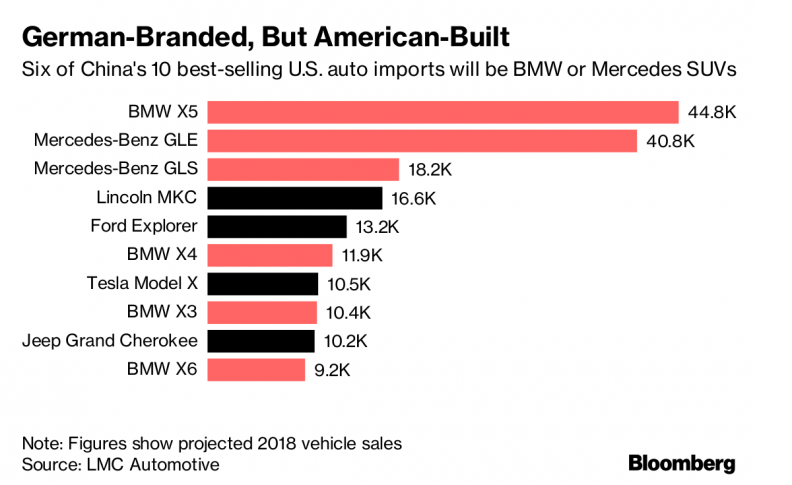 That strategy risks coming under strain as a trade war between the U.S. and China starts escalating, potentially raising the prices of vehicles exported from the U.S. Daimler AG already issued a profit warning a few weeks ago, citing the risk of falling demand from Chinese consumers for U.S.-made SUVs. Shares of Brilliance fell as much as 20 percent for its biggest intraday drop since October 2008 on concerns the company will miss out on the venture's future profit growth. Shares in BAIC Motor Corp., a partner of Daimler, also declined. Volkswagen AG, General Motors Co., Ford Motor Co. and Toyota Motor Corp. also work with local partners in China and many have indicated they see no changes in capital ties as Beijing relaxes caps on foreign ownership. A move by BMW would follow plans outlined by China in April to ease foreign-ownership restrictions in the country, with the possibility that foreign automakers could eventually buy out their local partners. Global companies have for decades sought better access to the Chinese car market, now the world's largest. China said in April it is scrapping the current 50 percent ownership cap for electric-car ventures as soon as this year. The cap for commercial vehicles will be eliminated in 2020 and the one for passenger vehicles will end in 2022. On Tuesday, the Chinese Foreign Ministry said in a statement that China and Germany "for the first time reached the agreement on increasing the share of German automobile companies in the jointly invested projects in China." BMW said this week it signed an agreement with Brilliance to expand their joint venture BMW Brilliance Automotive. The pact was one of dozens signed by German and Chinese companies during Premier Li's visit to Germany. 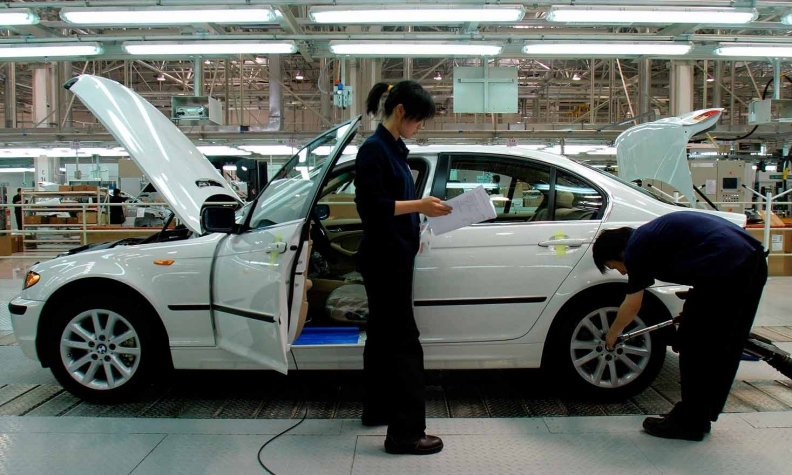 The remaining 9.5 percent of BMW and Brilliance's venture is held by Shenyang City.